Bring a touch of the outdoors indoors. That blank spot on your cabin wall? Fill it with rustic charm! 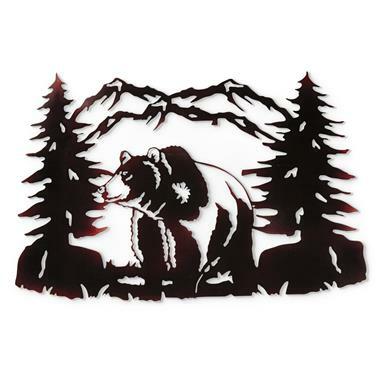 This Bear Metal Wall Art shows off your outdoors pride with handcrafted and hand-painted quality. Weighs 2 lbs., 10 oz. Weight: 2 lbs., 10 oz.